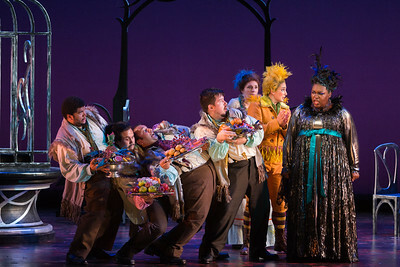 Please credit Karli Cadel and The Glimmerglass Festival when using these images. 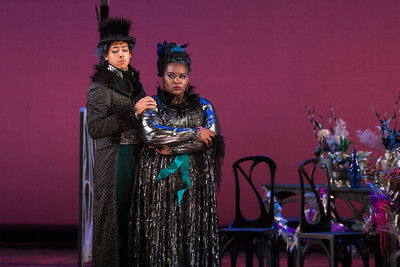 The images on this website are made available to members of the media for purposes relating to The Glimmerglass Festival and its events only; photos may not be used for advertising or commercial purposes without the written permission of The Glimmerglass Festival. 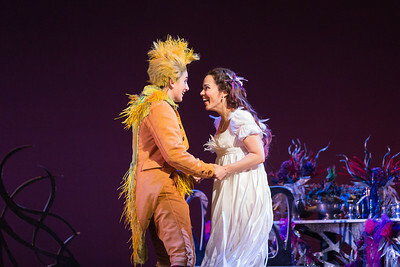 When using downloaded photos, please always include photo credit information. 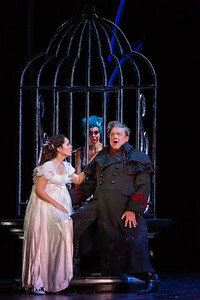 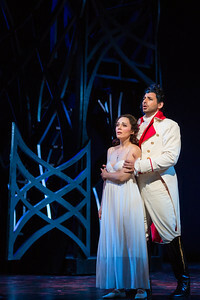 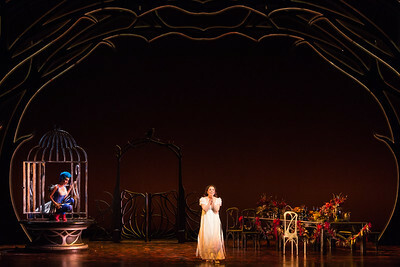 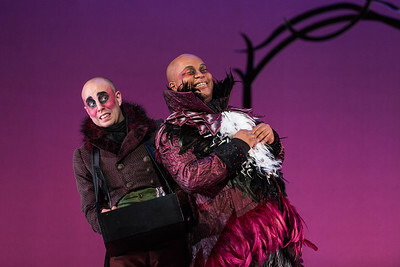 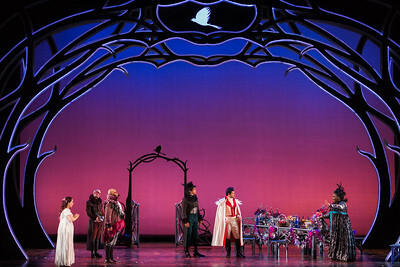 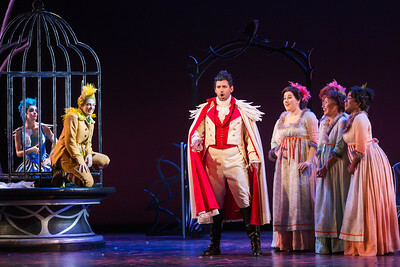 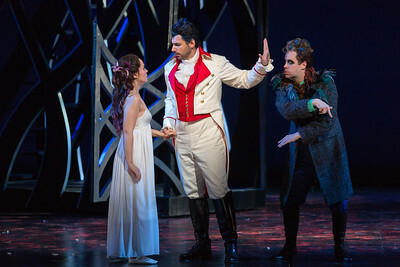 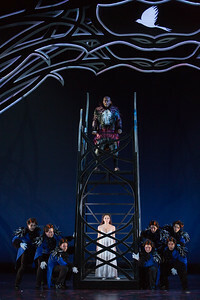 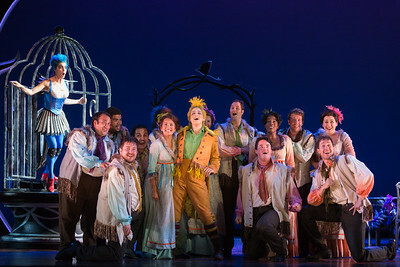 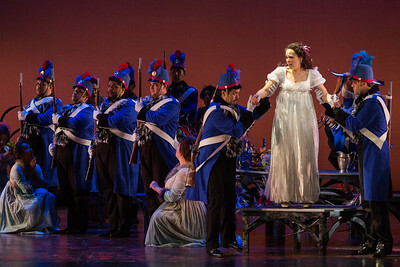 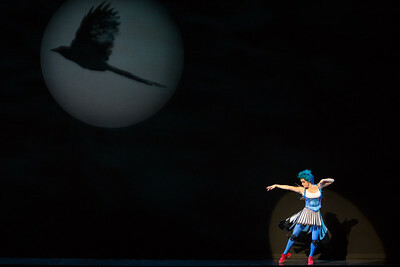 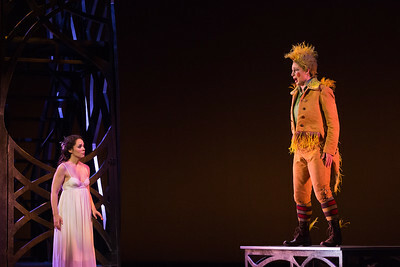 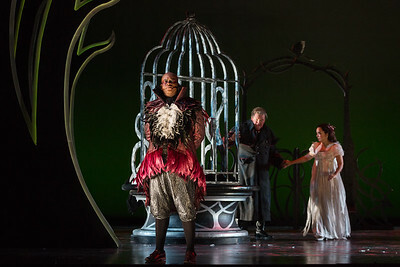 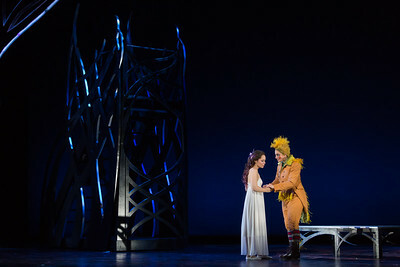 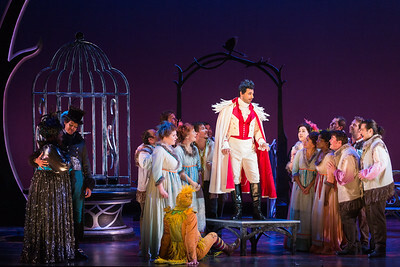 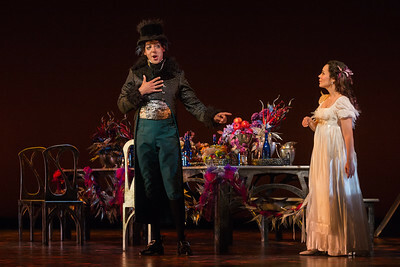 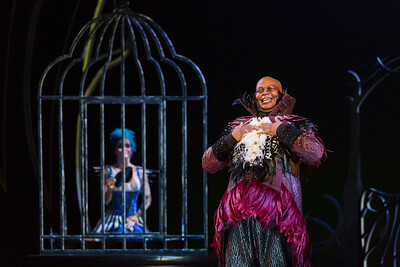 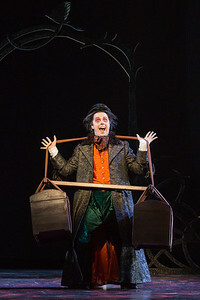 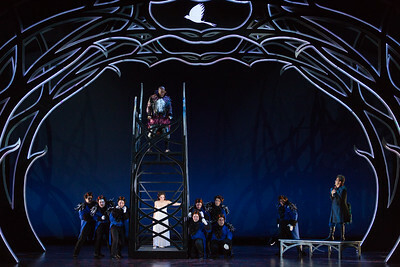 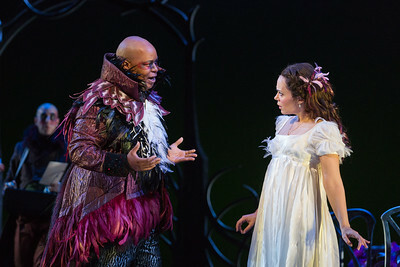 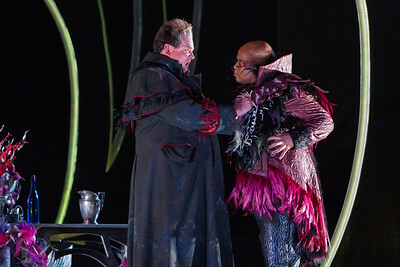 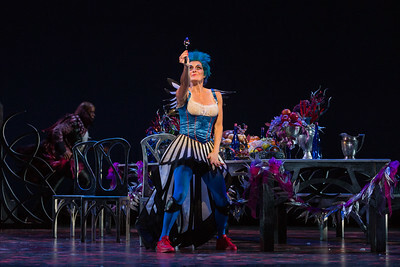 L to R: Meg Gillentine as the Magpie, Allegra De Vita as Pippo, Michele Angelini as Giannetto and members of the ensemble in The Glimmerglass Festival's production of "The Thieving Magpie"
L to R: Leah Hawkins as Lucia, Calvin Griffin as Fabrizio Vingradito, Michele Angelini as Giannetto and members of the ensemble in The Glimmerglass Festival's production of "The Thieving Magpie"
L to R: Rachele Gilmore as Ninetta, Meg Gillentine as the Magpie and Dale Travis as Fernando Villabella in The Glimmerglass Festival's production of "The Thieving Magpie"
L to R: Musa Ngqungwana as Gottardo, Dale Travis as Fernando Villabella and Rachele Gilmore as Ninetta in The Glimmerglass Festival's production of "The Thieving Magpie"
Dale Travis (L) as Fernando Villabella and Musa Ngqungwana as Gottardo in The Glimmerglass Festival's production of "The Thieving Magpie"
Meg Gillentine as the Magpie in The Glimmerglass Festival's production of "The Thieving Magpie"
L to R: Rachele Gilmore as Ninetta, Ensemble member Simon Dyer, Musa Ngqungwana as Gottardo, Calvin Griffin as Fabrizio Vingradito, Michele Angelini as Giannetto and Leah Hawkins as Lucia in The Glimmerglass Festival's production of "The Thieving Magpie"
Ensemble member Simon Dyer (L) and Musa Ngqungwana as Gottardo in The Glimmerglass Festival's production of "The Thieving Magpie"
Rachele Gilmore as Ninetta and members of the ensemble in The Glimmerglass Festival's production of "The Thieving Magpie"
Rachele Gilmore as Ninetta and Michele Angelini as Giannetto in The Glimmerglass Festival's production of "The Thieving Magpie"
Rachele Gilmore as Ninetta, Michele Angelini as Giannetto and Brad Raymond as Antonio in The Glimmerglass Festival's production of "The Thieving Magpie"
Rachele Gilmore as Ninetta and Musa Ngqungwana as Gottardo in The Glimmerglass Festival's production of "The Thieving Magpie"
Rachele Gilmore (L) as Ninetta and Allegra De Vita as Pippo in The Glimmerglass Festival's production of "The Thieving Magpie"